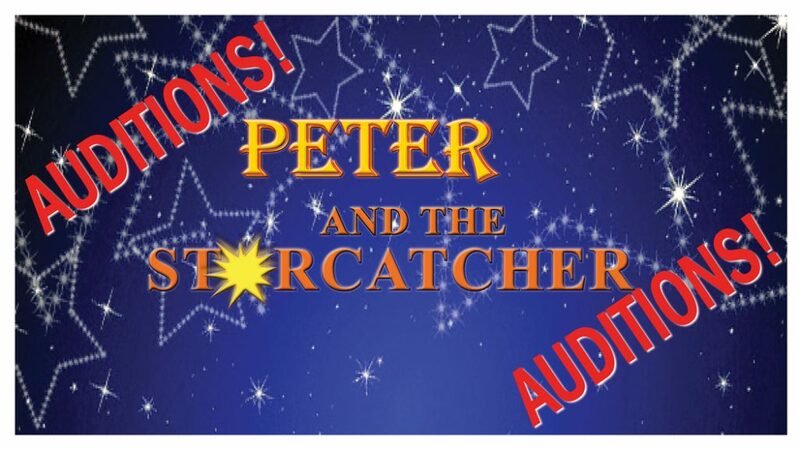 Peter and the Starcatcher provides a humorous and fantastical back story for the beloved character of Peter Pan and his arch-nemesis Captain Hook. In this wickedly imaginative play, we meet a poor orphaned child on the high seas simply called Boy because, in the absence of a mother and a father, he was never given a name. His sad and lonely world is turned upside down when he meets Molly. The daughter of famous Starcatcher, Lord Astor, our heroine is on a mission to save the world and protect a treasure trunk filled with magical star stuff from getting into the hands of evil and greedy pirate Black Stache. As they travel aboard the Neverland ship headed for a faraway land, Molly and Boy learn about love, friendship and forge an unbreakable bond. Note: Gender blind casting: All characters, with the exception of Molly and Black Stache, will be cast without regard to gender. BOY (PETER): The hero Peter Pan, who earns his name during the course of the play. At the start, he is nameless, homeless, and friendless. He is a survivor. All he wants is a home and a family. PRENTISS: Peter’s friend from the orphanage. He longs to be a leader, but doesn’t have the skills to do so. TED: Another of Peter’s friends from the orphanage, Ted is obsessed with food. He is often called “Tubby” by Prentiss. LORD LEONARD ASTER: Molly’s father and a loyal subject to the Queen of England. He is a Starcatcher— a protector of powerful star stuff. MOLLY ASTER: Lord Aster’s daughter and a true leader. She is an apprentice Starcatcher. CAPTAIN ROBERT FALCON SCOTT: Captain of the Wasp. GREMPKIN: The mean schoolmaster of St. Norbert’s Orphanage for Lost Boys, where Boy, Prentiss, and Ted lived as orphans. BILL SLANK: The Neverland’s vicious captain. ALF: An old sailor and love interest of Mrs. Bumbrake. MACK: An incompetent sailor who wants to be anywhere but under the thumb of Bill Slank. BLACK STACHE: The world’s most feared pirate. He and his crew take over the Wasp. Black Stache is searching for a hero worthy of opposing his villainy. SMEE: First mate to Black Stache. Single-mindedly dedicated to his captain’s every whim. SÁNCHEZ: A hardworking Spanish pirate. FIGHTING PRAWN: King of Mollusk Island. He has vowed to kill any Englishman that visits his kingdom. HAWKING CLAM: Son of Fighting Prawn and Sweet’n Sour Shrimp. TEACHER: Formerly a salmon, now a wise mermaid whom Boy meets on Mollusk Island. Prepare a 1-2 minute monologue. You will be asked to sing something short and simple of our choosing. Nov 30, Dec 1, Dec 7, Dec 8 – 7:30PM performance; Dec 3 and Dec 9 – 3PM. Director, Bryar Golden; Musical Director, Charles Enlow, Choreographer, Annika Knapp, Stage Manager, Anita Proudfoot. Fill out the online form and select your preferred date and time from the options provided.